A book for policy makers, caregivers, the halt and lame, upright and unencumbered: anyone who ever intends to grow old. Accomplishes what few authors are capable of--taking an unnerving topic and turning it into a book so enthralling you won't want to put down. Indeed, it's a meditation worthy of Marcus Aurelius and Jerry Seinfeld. In nursing homes and assisted living facilities across America, millions of the Greatest Generation are living out their final days, but no matter how exciting or mundane their lives, they're now occupying a hospital-style room-a public space where you can't lock your door and strangers freely come and go. 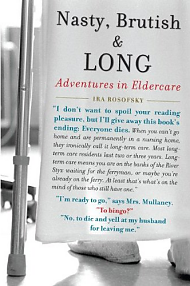 Life is a succession of pokes and prods, medications, TV, bingo, and, possibly, talking to Ira Rosofsky. Nasty, Brutish, and Long is a candid, humane, and improbably humorous look at the world of eldercare. With a compassionate eye yet mordant wit, Rosofsky, a psychologist charged with providing mental health services to his elders, reveals a culture based not on empathy, but on regulations promulgated by coolly detached bureaucracies such as Medicare and Medicaid. 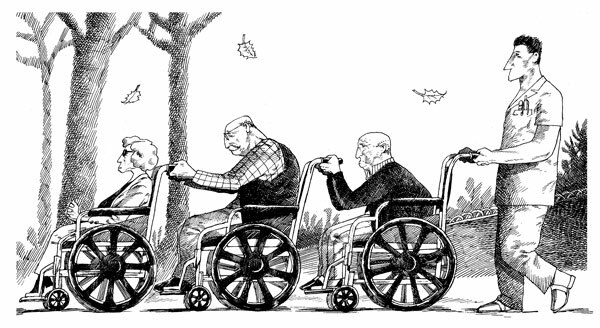 In this portrayal of what is increasingly becoming the last slice of life for many, Nasty, Brutish, and Long also presents a baby boomers poignant meditation on aging and mortality, a reflection on caregiving during his parents' final days, and an examination of the choices that we, as a society, have made about healthcare for the elderly who are no longer of sound mind or body.